Neuhaus, Mark Inskeep, Joyce Rebora, Adam Rebora, and Chickenscratch. The show continues through April 27. 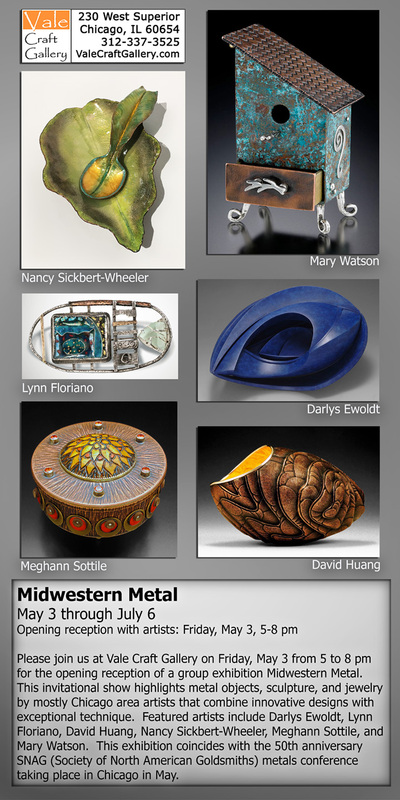 Please join us at Vale Craft Gallery on Friday, May 3 from 5 to 8 pm for the opening reception of a group exhibition Midwestern Metal. 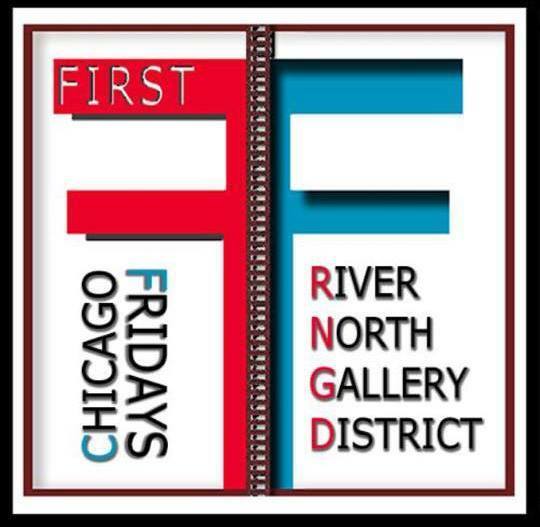 This invitational show highlights metal objects, sculpture, and jewelry by mostly Chicago area artists that combine innovative designs with exceptional technique. 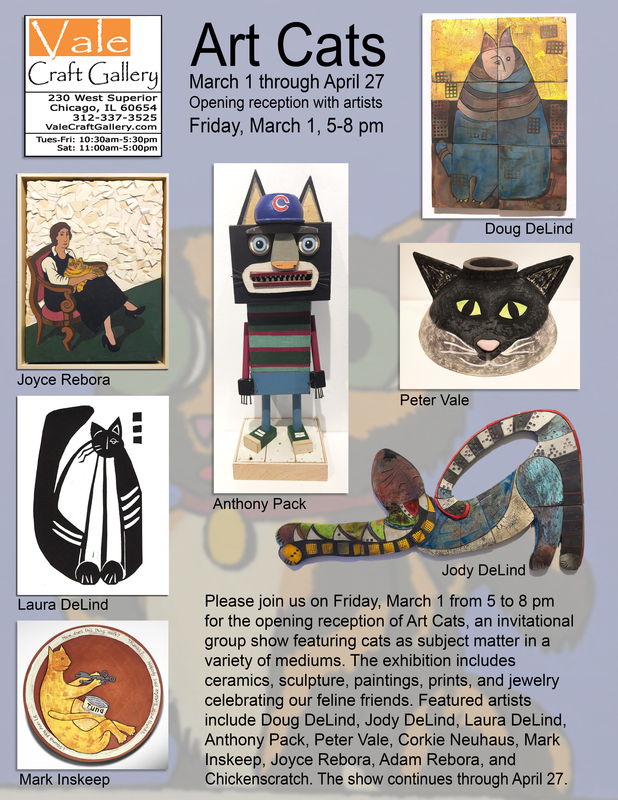 Featured artists include Darlys Ewoldt, Lynn Floriano, David Huang, Nancy Sickbert-Wheeler, Meghann Sottile, and Mary Watson. This exhibition coincides with the 50th anniversary SNAG (Society of North American Goldsmiths) metals conference taking place in Chicago in May. 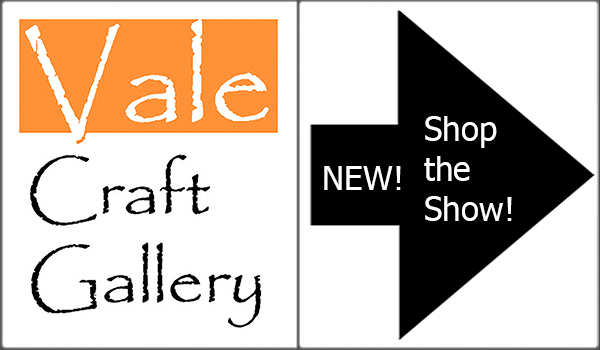 features colorful textiles, beautiful glass objects, handcrafted furniture, innovative ceramics, whimsical sculpture, and unique jewelry.